Got to go with the Glukkon on this one. These guys are the true essence of evil and they have what it takes to be a villain for sure. These Glukkons are only worried about getting more wealth through whatever means possible. For the rest of us, this means smoke‐producing factories, exploitation of natural resources, enslavement of indigenous cultures and slaughtering of any wildlife that stand in their way. Evil… pure Evil as we know it to be!!! 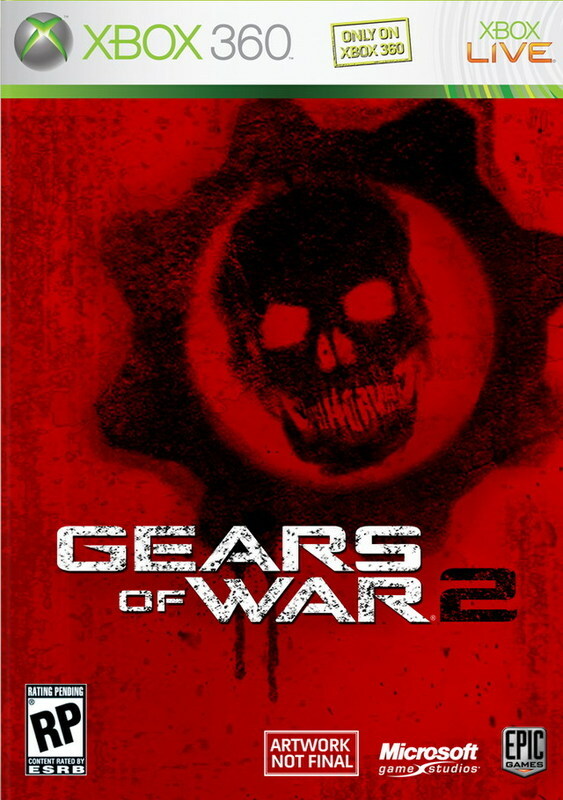 The game he chose was Gears of War 2. When it comes out it’s all yours Squeak117! 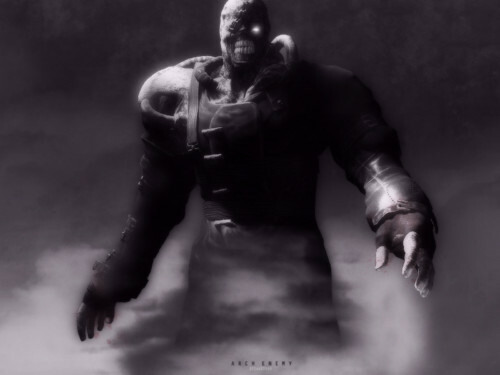 were all done by ~lukedenby. He was one of the first to be interviewed here at gamersdigart.com. Here is that link. Yes he submitted all three! Awesome chap! Hope he submits again! I went with the glukkon because first: nice piece of art, but beyond that this was a true villain. They hate all and are very selfish creatures by nature. 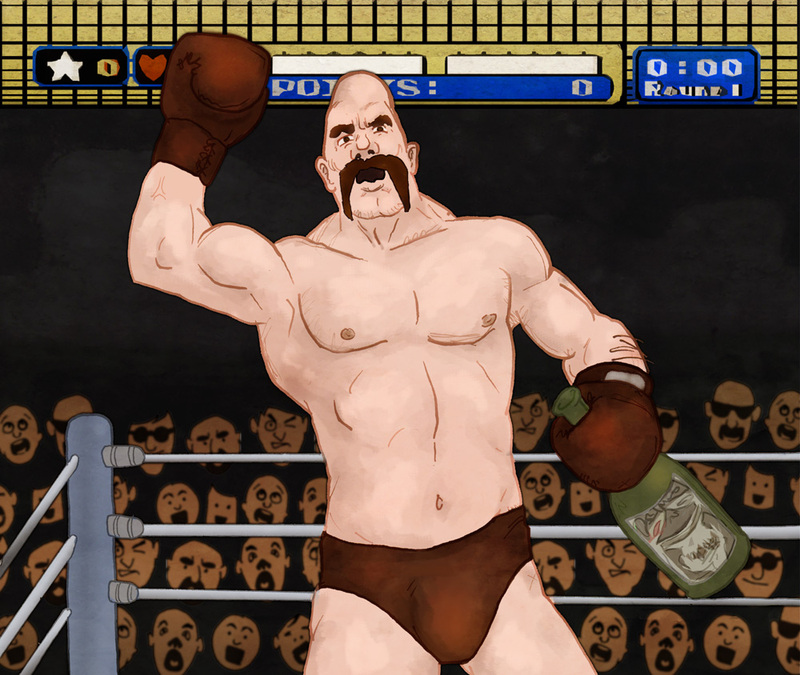 Vodka Drunkenski is a jerk for sure…but not a villain. A drunk yes, villain no. The Koopa family has caused some problems in the mushroom family…but besides kidnap Princess Toadstool what have they really done. They just prove Bowser needs to work on his skills with the ladies that’s all. Earth Knight…from Shadow of Colossus…is vicious, cold, destructive but not a villain he be. More of a natural force of destruction, sort of like a massively walking tornado…with a club! Well that is all for now…I want to see more submissions!!! A game!!! A Free Game is on the line…Brand New and wrapped in plastic waiting for YOU!! So the theme is monsters/creatures and the creepier the better! Hope to see some more entries! Think about it…November has some really cool games coming out! 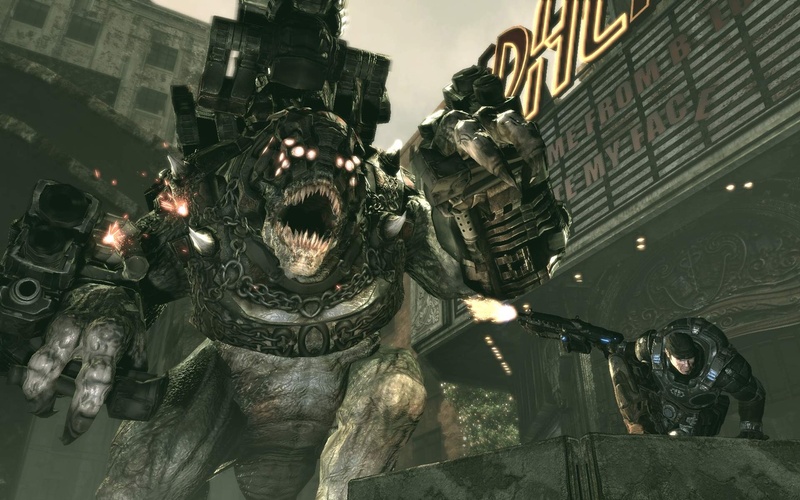 Who here wouldn’t want Gears of War 2 or Left 4 Dead for Free? What about Fable 2???? September’s contest was titled Villains. It was simple, open and easy to do. 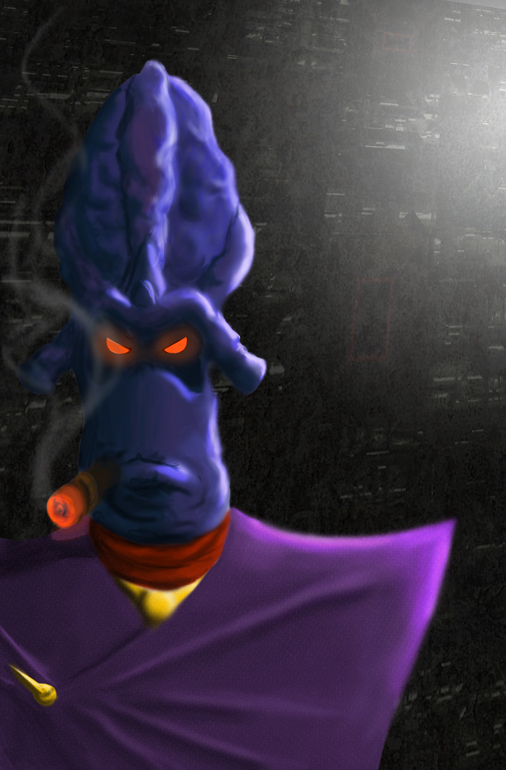 Illustrate a villain from any video game past or present, win a free game call it a day. I won’t say who illustrated each entry this time, I will simply post the entries. I will announce the winner on Friday 10/3/2008. Thanks to all who entered! No explanation really needed here. Everyone in gaming knows this villainous family from the mario universe. 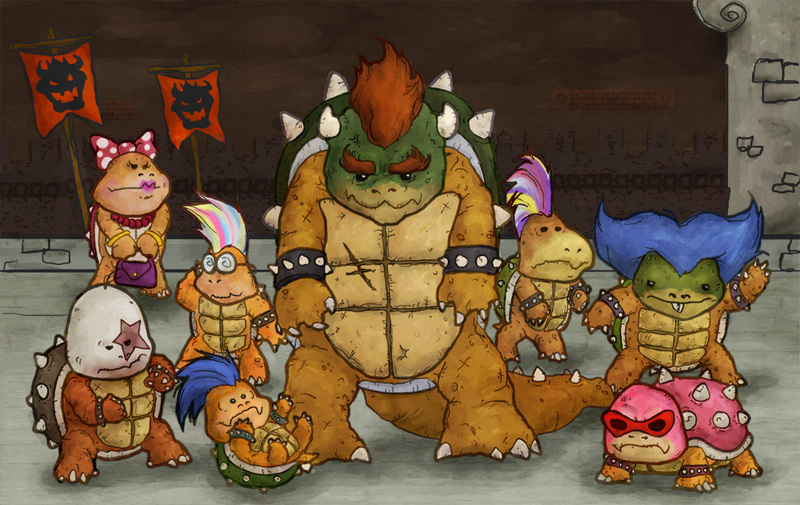 Not to be confused with Bowser Jr, this is the Koopa Family! This is a Glukkon from the Oddworld universe. Glukkons are the ruthless, heartless capitalists that are the management of the Magog Cartel, the achetypal industrial family with a stronghold on Mudos. 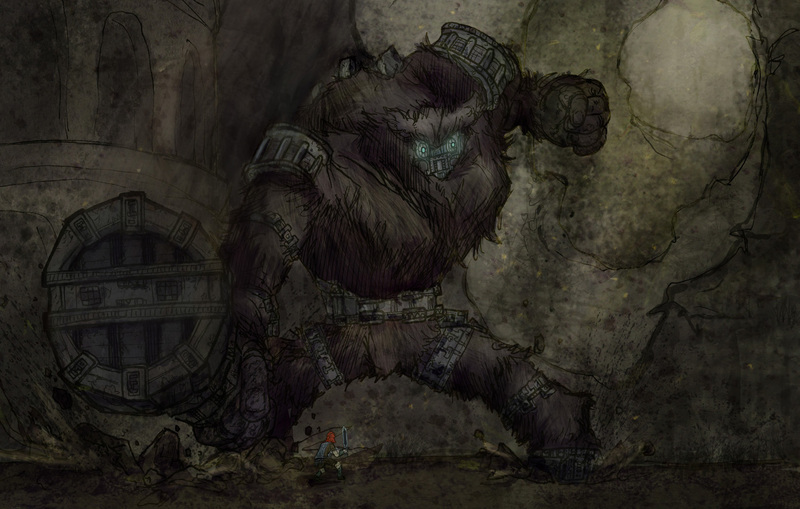 This is the Earth Knight – Gaius – Terrestris Veritas – Mammal guardian 2 from Shadow of the Colossus! What a great game! There you have it! I will announce the winning illustration on Friday! The winner will receive free game of their choice!